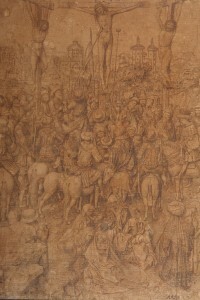 Museum Boijmans Van Beuningen has acquired a rare drawing of The Crucifixion by Jan van Eyck or a follower from the private individuals who owned it since it was discovered in 2012 when preparing the exhibition The Road to Van Eyck. The drawing will be on show in a special display in the museum for a month before travelling to Bosch to Bloemaert. Early Netherlandish Drawing in Museum Boijmans Van Beuningen, Rotterdam at the Fondation Custodia in Paris. The latest issue of Delineavit et Sculpsit has been published. It is the first of a new series, nos. 36-40 (subscriptions cover series of five issues each, which are published over a period of 3 to 4 years). This journal for Dutch and Flemish Prints and Drawings, which will celebrate its 25th anniversary next year, has undergone a metamorphosis. It has been restyled, with an appealing new graphic design, only retaining its characteristic square format. The publication is from now on financially supported by the Fondation Custodia in Paris. If you are interested in a subscription you are kindly invited to contact the secretary Erik Löffler at the Rijksbureau voor Kunsthistorische Documentatie (RKD) in The Hague. Museum Boijmans Van Beuningen in Rotterdam has a rich collection of 410 Netherlandish drawings from the fifteenth and sixteenth centuries. Artists born before 1581 are now online on the Boijmans website. The texts are mainly in Dutch, awaiting funds for translation in English. Museum Boijmans Van Beuningen in Rotterdam has created a web-portal on Provenance Research which, among other cases, contains a wealth of information about the Koenigs Collection, including claims by one of his many grandchildren. Visit the museum’s website. Here’s a direct link to the section about the Koenigs Collection. Bezoek de website voor de Nederlandse documenten betreffende het herkomstonderzoek van het museum en in het bijzonder de Collectie Koenigs. Through the many hyperlinks, found throughout the text and at the end of the 19 pages pdf-document, you may find dozens of documents with more detailed information. A graduate from London University, Hugo Chapman (1963) first worked for a decade at Christie’s as specialist of Old Master Drawings. 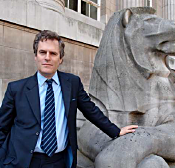 In 1995 he joined the British Museum. As Assistant Keeper he has been in charge of the Italian drawings (1400-1800), shifting his field of interest to the French drawings of the same period during the last few years. He has been the curator of some major exhibitions, including Raphael from Urbino to Rome in 2004, Michelangelo Drawings: Closer to the Master in 2005, also shown at the Teylers Museum (Haarlem), and Italian Renaissance drawings from Fra Angelico to Leonardo in 2010, a joint project with the Uffizi (Florence), also the second venue in 2011. Hugo Chapman is the successor of Antony Griffiths, who will retire later this month.